Setting its sights on the future, Renault is adapting its production system to address the new challenges facing the automotive industry. People are at the heart of Renault's plant of the future, men and women, from operators to customers. The 4.0 revolution is driving connected, agile and competitive manufacturing. The automotive industry is in the throes of change with the rise of electric vehicles, the arrival of autonomous, connected vehicles and the development of personalization. To keep pace with this revolution, the industry needs to adapt in order to ensure the reliability and full traceability of production. 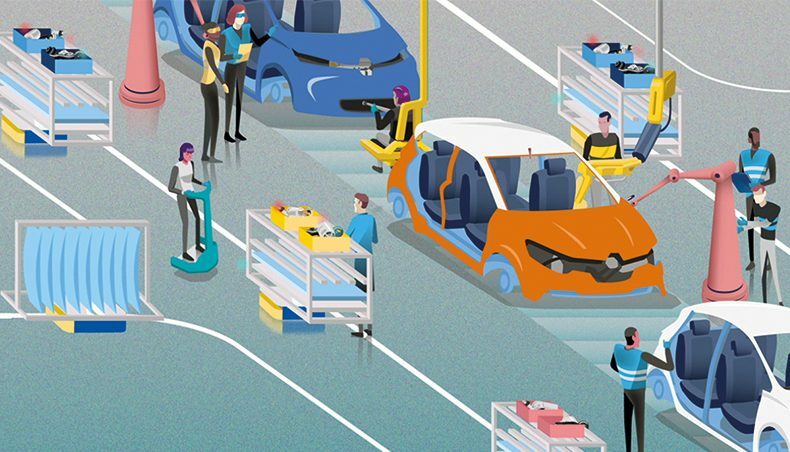 Renault has decided to digitize its production system in order to support operators, build connected, personalized vehicles, and make plants more customer-focused. Through this approach, Renault is pursuing a twofold objective: to ensure the quality of its vehicles and the competitive edge of its production system.